Lidl W5 All in One dishwasher tablet review - Which? Lidl’s tagline is ‘Big on quality, Lidl on price’. 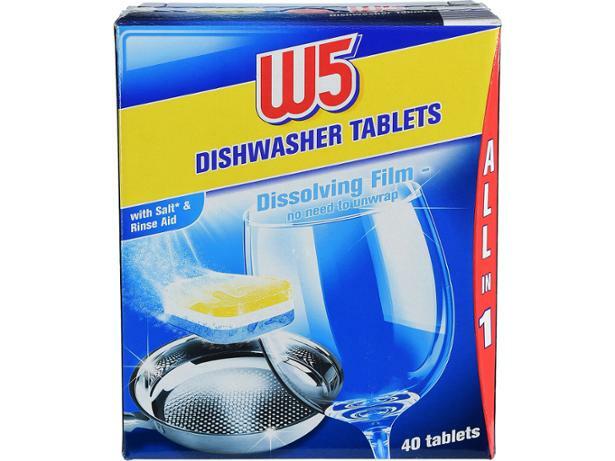 Its W5 All in One dishwasher tablets certainly cost less than the likes of Fairy or Finish, but do they produce shiny dishes and sparkling glassware? Find out if the supermarket’s claims hold up, or if its dishwasher tablets are ‘Lidl on quality’.